Remember those times when you invite people to come over just by sending them a text message? You can also do that for your wedding! 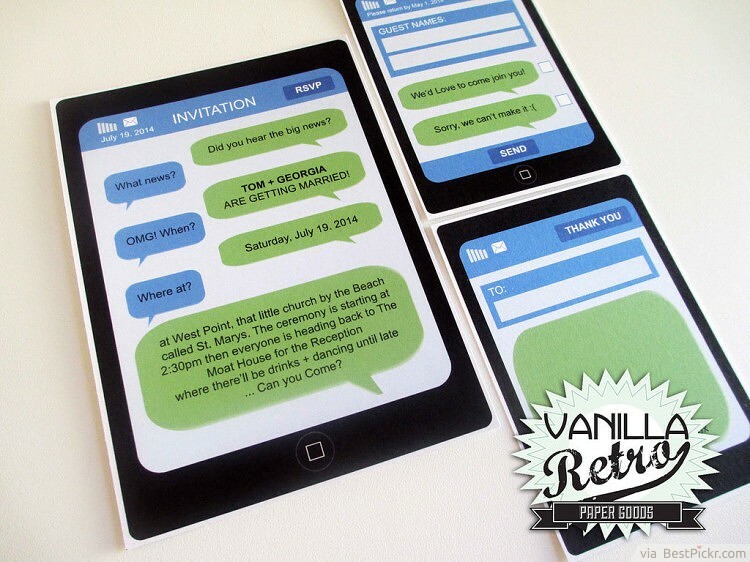 Just make it more formal by putting the smart phone into paper, and your invitation should look like a witty conversation. Just the site of the invite will have your guests smiling.